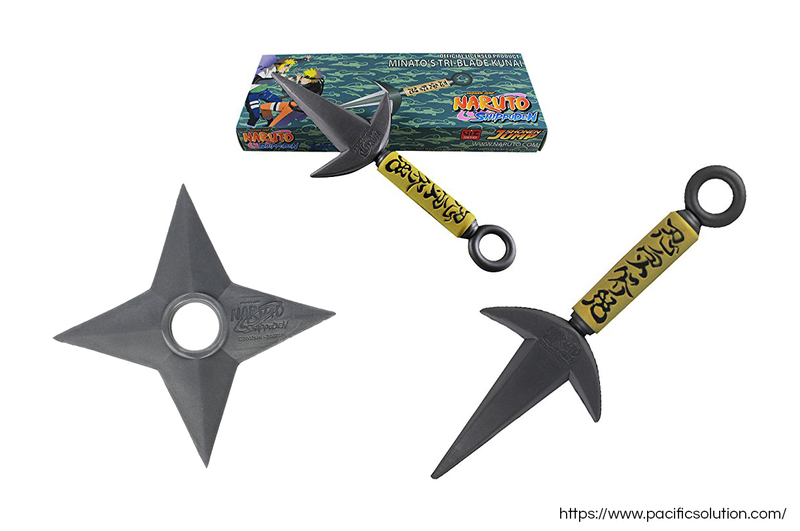 If you’re a Naruto Shippuden fan, then you’re probably one of thousands who has fantasized about running around throwing kunai at bad guys. While we’d never, ever condone real violence, a little good, old-fashioned roleplay never hurt anyone. Unfortunately, not all weapon replicas are created equal, and some do have the capacity to cause harm. 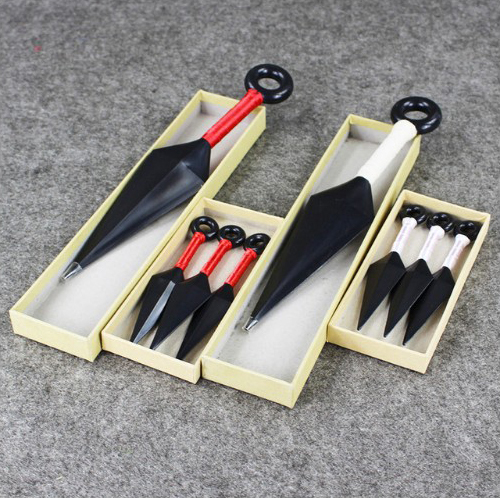 This fake Naruto Shippuden kunai we acquired is an excellent example of that. Why not read on and see for yourselves? Chinese online marketplaces such as AliExpress may have hundreds of items for sale, but they’re also a magnet for countless bootleggers. So the chances of you buying legit items from such stores are extremely slim. 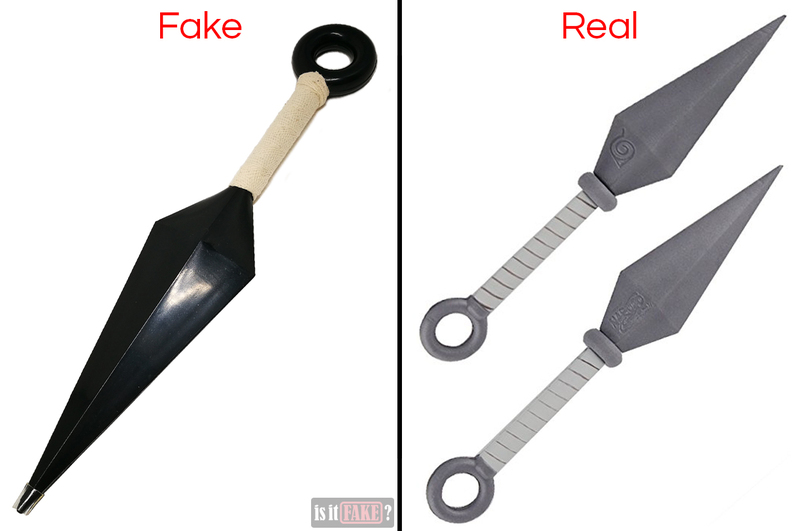 The fake Naruto Shippuden kunai we purchased from AliExpress is a mystery. Neither its page nor its packaging states who its manufacturer is. This alone should cause you alarm; any legit manufacturer would never hide information about themselves from buyers. But if you need further proof that this item is a fake, we’ve got that covered. 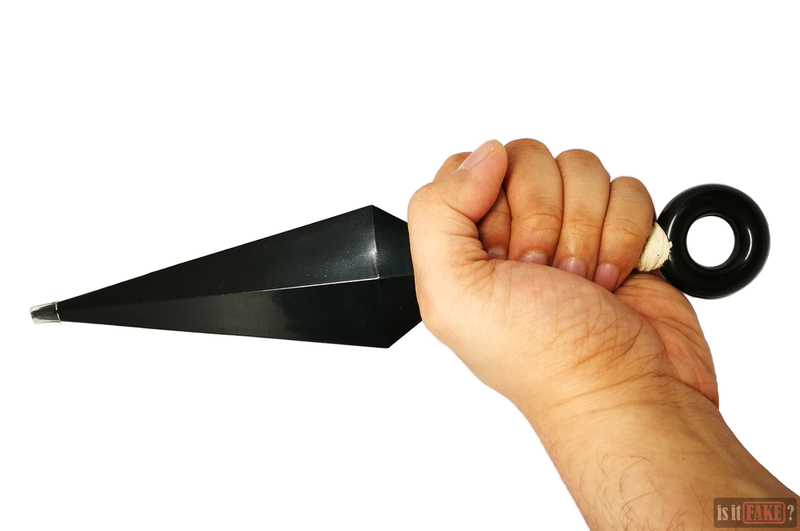 The fake Naruto Shippuden kunai was delivered to us swathed in plastic. The product itself comes in a simple stiff cardboard box. On the top of the box, you can see various titles and logos. Smack dab in the middle is the Konoha symbol. 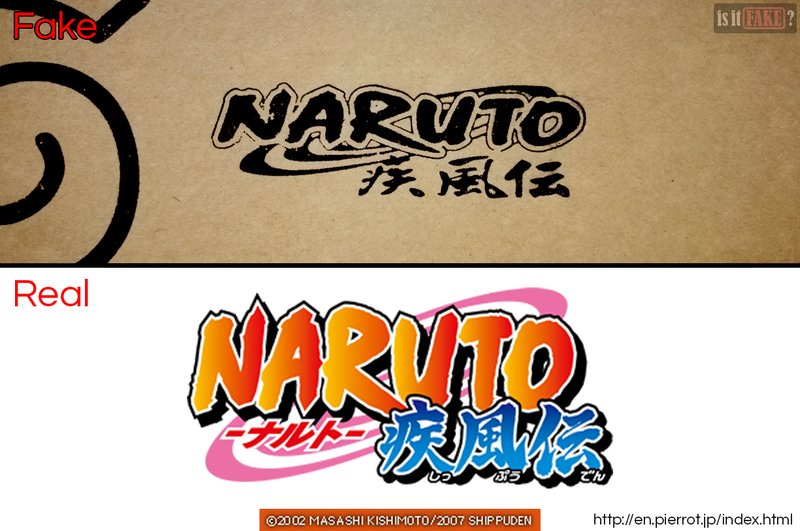 To the Konoha symbol’s right is the Naruto Shippuden logo and title. It’s a bit squashed, however, and the Japanese characters don’t look quite right. Compare this to the official title, which you can find on Pierrot’s official website (Pierrot is the studio responsible for the Naruto Shippuden anime). 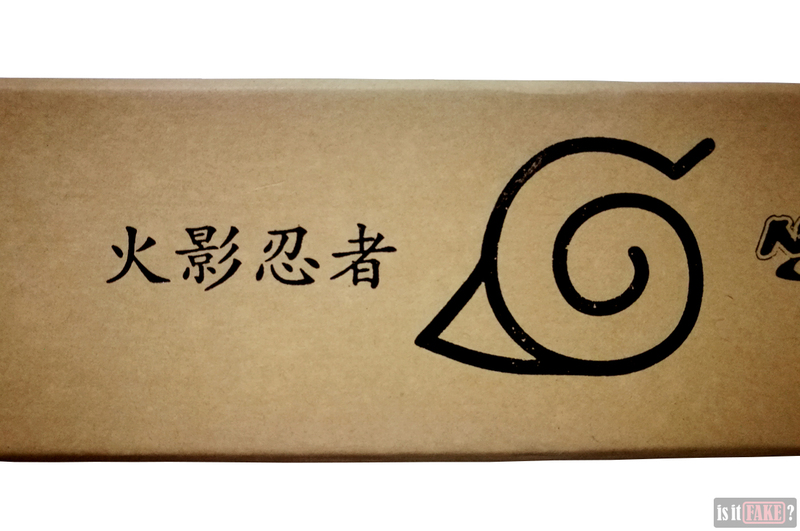 To the left of the Konoha symbol the is “Naruto” name in Chinese. You’ll find no other information on the box; no manufacturer or distributor identity, no licensing details, and no mention or logos of the companies behind the anime and manga. This is a huge red flag, as the packaging of licensed products are often adorned with such. Once you lift the lid off the box, you’ll find the interior is also devoid of information. 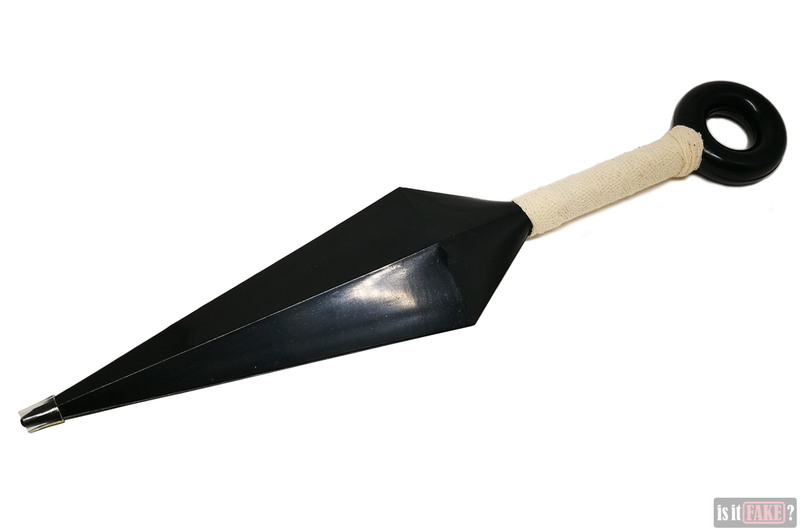 The kunai is made of a glossy, extremely rigid material. Looking it at, there’s no denying what it is: a plastic toy. And a dangerous one at that. 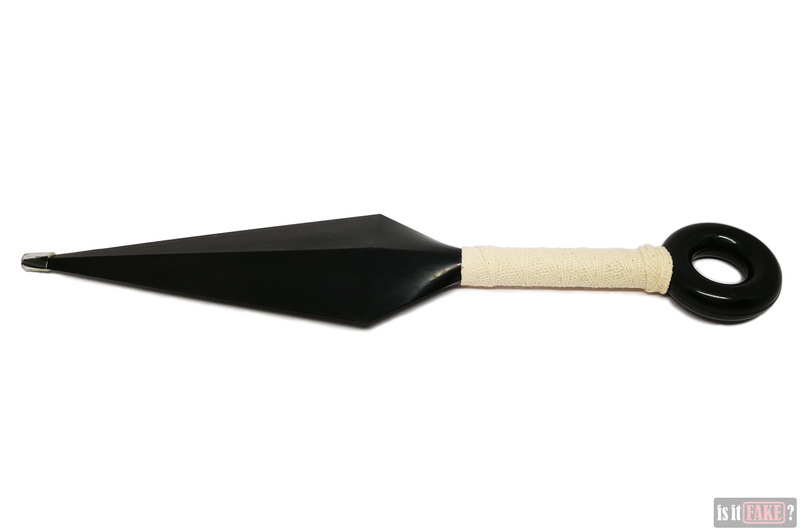 A transparent band of rubber is wrapped around the kunai’s tip – presumably to prevent its wielder from stabbing someone to death. But the rubber is soft and easily removable. If thrust with enough force, this toy is still capable of dealing grievous damage. In addition, the edges of the “blade” are sharp – not knife-sharp, mind you, but again, sharp enough to cause injury if wielded carelessly or with the intent to harm. In short, this fake Naruto Shippuden kunai might as well be a real weapon. This is not something you want in the hands of a crazy person, or in a house with kids. The only thing not dangerous about it is the cloth wrapped around its grip. The fake kunai’s color is also inaccurate. 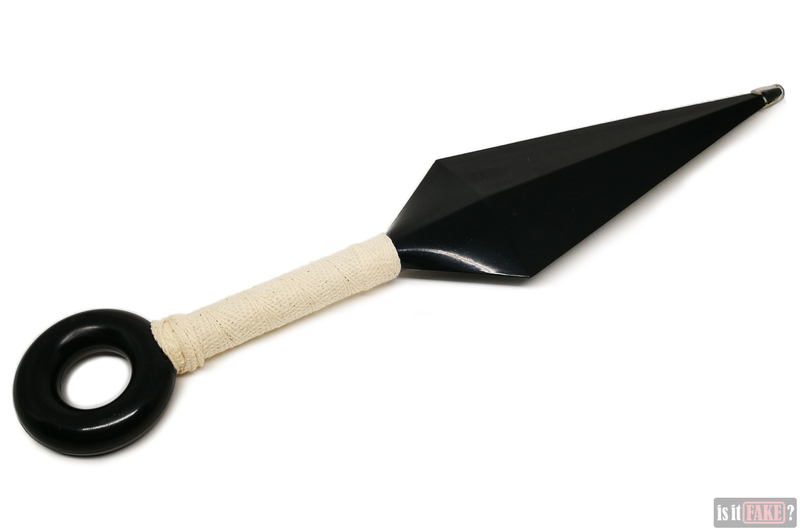 The kunai most often used by the shinobi in the Naruto manga and anime are grey, not black. 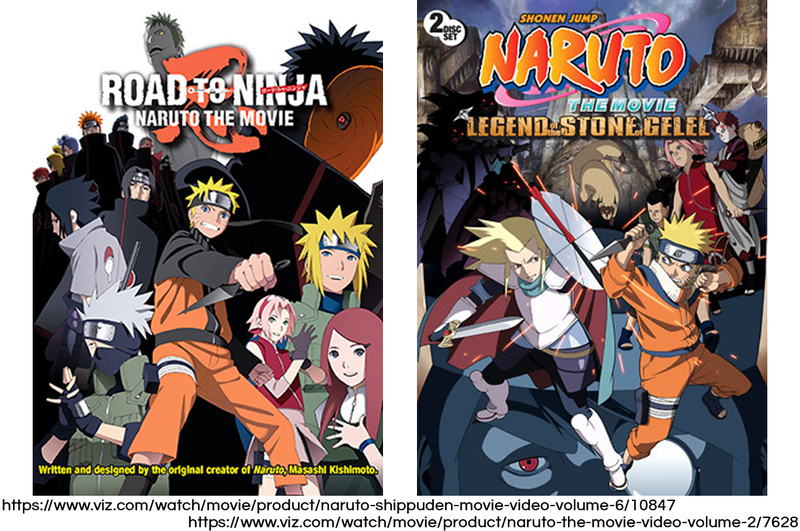 Check out Viz Media’s images above – you’ll see Naruto brandishing grey kunai. 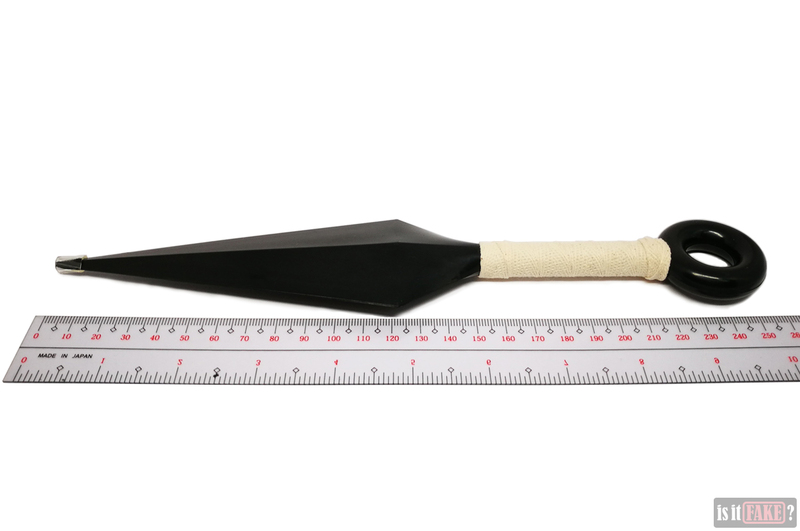 Lastly, while the fake kunai’s total length isn’t so bad at 26cm, its handle is on the short side. With your hand curled around said handle, the side of your forefinger will likely touch the base of the blade. A person with a larger hand will have trouble wrapping all those fingers around that handle. Pacific Solution Marketing, Inc. is a licensed manufacturer and distributor of weapon replicas. 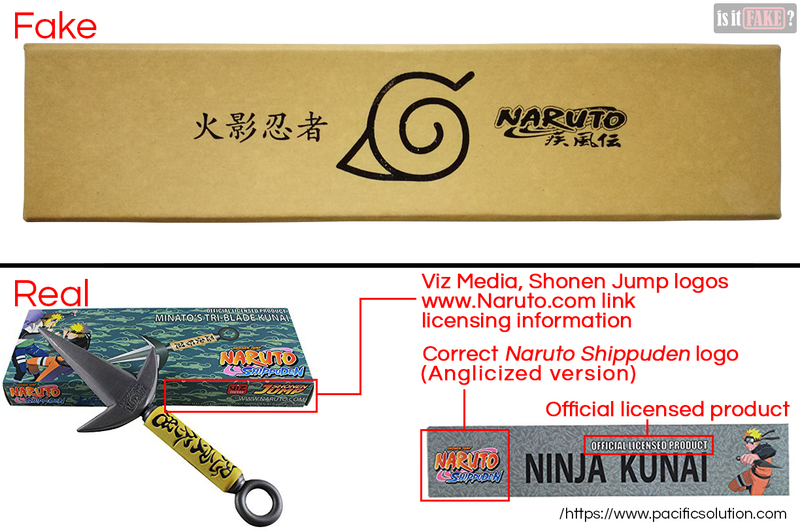 In early 2015, they acquired the rights to produce weapons featured in the Naruto Shippuden anime. 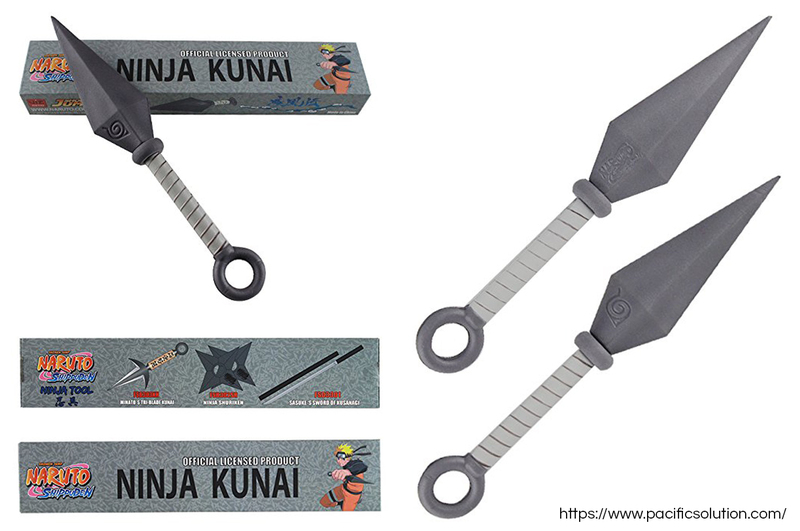 Pacific Solution Marketing’s officially licensed Naruto Shippuden kunai isn’t that expensive. It’s show and manga-accurate with its grey blade and pommel and light grey grip. Said grip is long enough that your entire hand can fit around it. 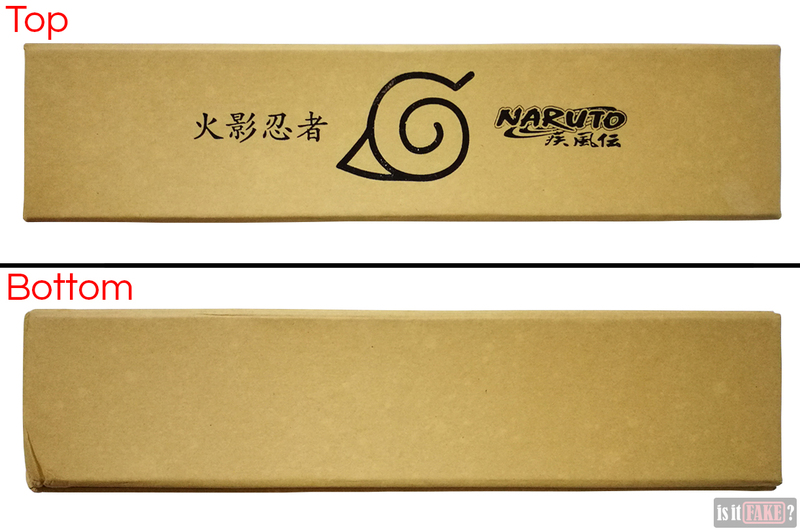 Its blade even boasts engravings of the Konoha symbol and Naruto Shippuden logo. Most important of all, it won’t kill anyone. 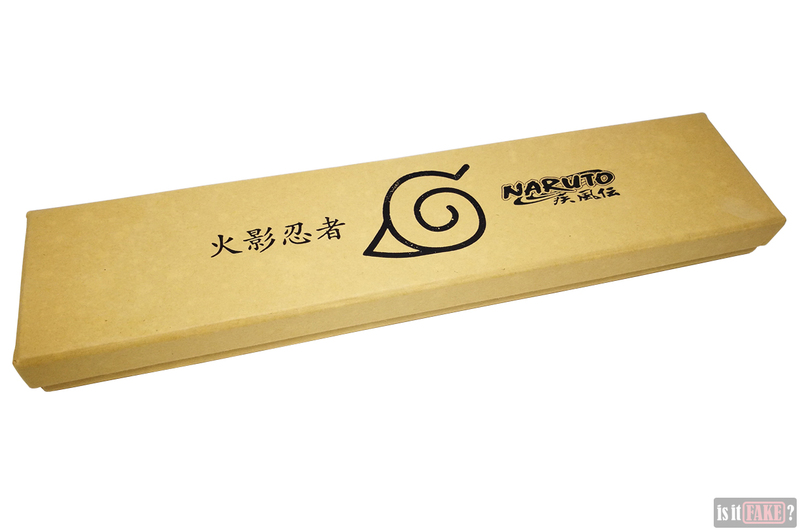 That’s because the blade of the official Naruto Shippuden kunai is made of soft foam. It’s therefore perfect for kids or those into rowdy roleplay. 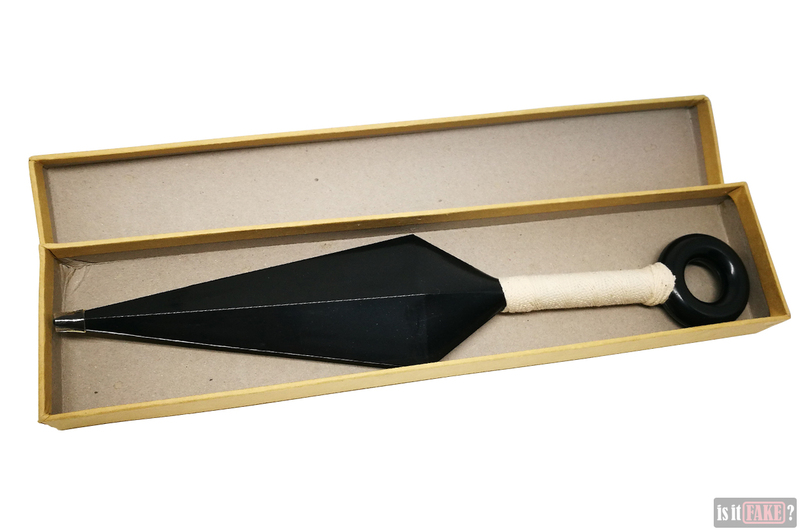 You can’t buy the official Naruto Shippuden kunai from Pacific Solution Marketing’s website, but the company was kind enough to direct us to a seller on Amazon who has the weapon replicas in stock. Even the other weapons in Pacific Solution Marketing’s Naruto Shippuden line-up are available. Click here for the kunai, here for the tri-blade kunai, and here for the shuriken. 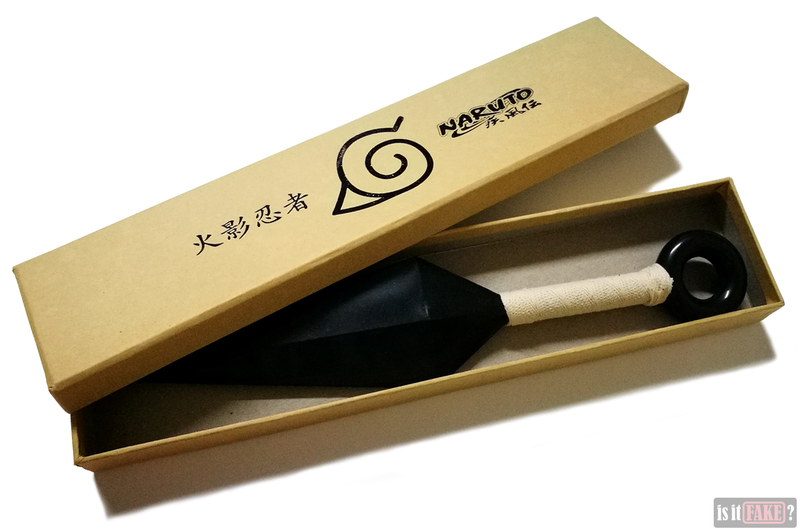 AAA Anime also has some of Pacific Solution Marketing’s ordinary Naruto Shippuden kunai in stock. A dangerous “toy” that doesn’t even resemble the weapon it’s based on? That’s our fake Naruto Shippuden kunai in a nutshell. It deserves no less than an 80% terrible rating.